Throughout our house renovation we've lived in a variety of conditions, including no bathroom, no flushing toilet, no kitchen, no heating during December/January, no hot water etc etc. 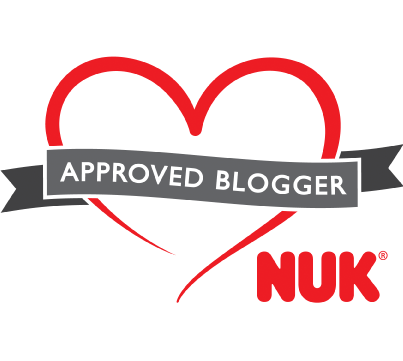 The list goes on, but I'm certainly not moaning, we are extremely lucky to have this house to renovate and now some rooms are finally being finished the feeling of elation and excitement can be too much! I'm so excited to finally be putting the finishing touches into our bedroom and kitchen. Making a house into a home with beautiful little pieces that mean a lot to you is such an honour and a responsibility I am not taking lightly. 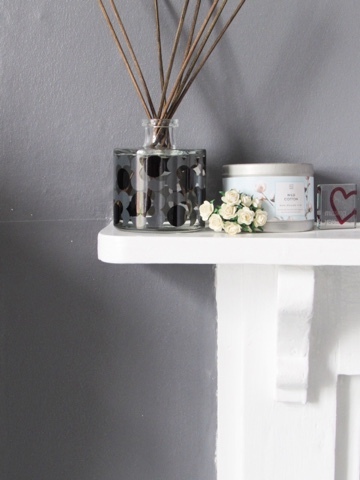 When it comes to the decor in our house it seems that there is one colour that has clearly been our favourite - grey, of varying shades and tones. 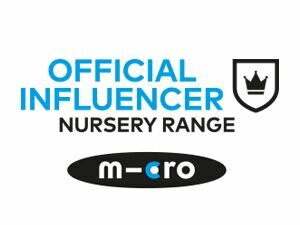 So I'm always on the look out for home accessories that will add style, comfort and be coordinated. 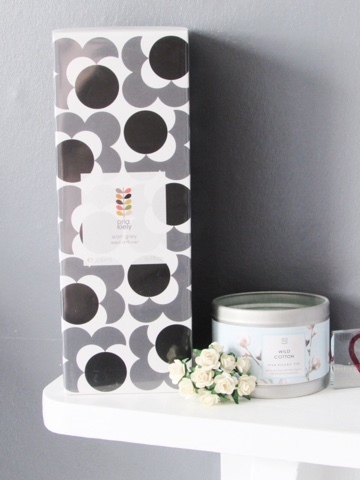 The new Orla Kiely Home Fragrance collection is so beautiful, there is a stunning range of scents and coloured packaging. As always with Orla Kiely products the packaging design is what makes the products sell, people want that high end, sophisticated design but without the huge price tag. That's what Orla Kiely does so well, she's a very successful designer but she doesn't charge the high prices some designers do. 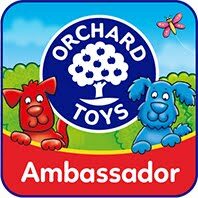 This makes her ranges available to a wide audience and in high street stores like John Lewis. The fragrances in her new home collection include some staples: Basil and Mint, Earl Grey and Fig Tree, as well as some new ones: Sicilian Lemon, Orange Rind and Lavender. As you can see, the collection covers most scent preferences - fresh, fruity, warm, woody and floral. I'm intrigued to smell the Basil and Mint fragrance, it sounds so unique and fresh! 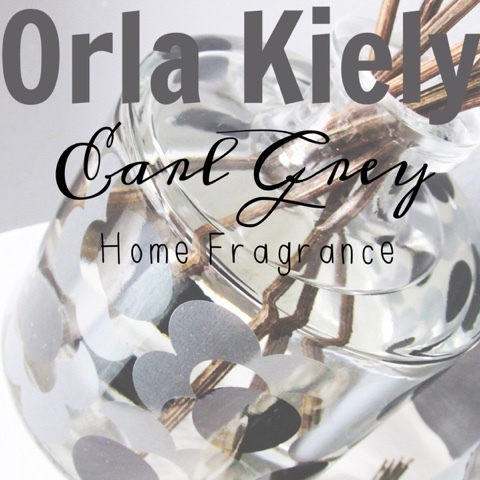 Due to our extreme love of grey for our home interior the Orla Kiely Earl Grey fragrance stood out to me. The design of the packaging is clearly Orla Kiely's work, but has a slight twist with the colour palette used. I like that the packaging matches the scent to some degree and that all of the scents are available in either a candle or reed diffuser. 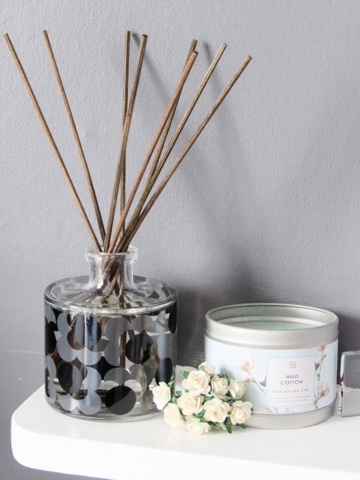 As I am obsessed with both candles and reed diffusers, this range is perfect. Personally, I use candles in rooms that I spend a longer time in because then I can supervise the burning of the candle, so we have a lot in the living room. 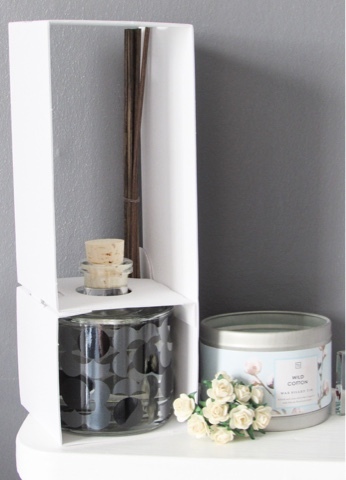 In our bedroom I prefer to have a reed diffuser, one because it would be dangerous to burn candles while falling asleep and two because I like a calming scent in the bedroom. 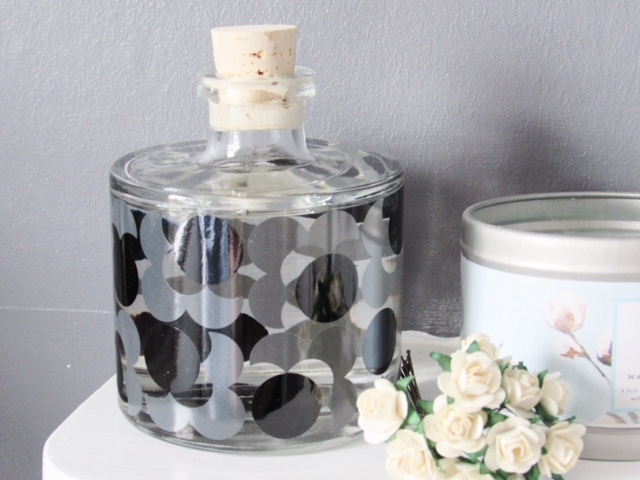 The Orla Kiely Earl Grey reed diffuser* is a beautiful addition to any bedroom. 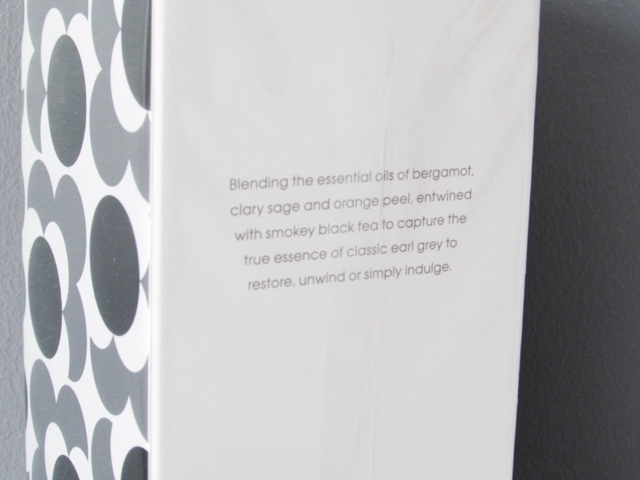 The grey packaging coordinates with our bedroom and the scent is calming and relaxing. The candles or reed diffusers would also make beautiful moving house/birthday/(dare I say it) Christmas gifts too. 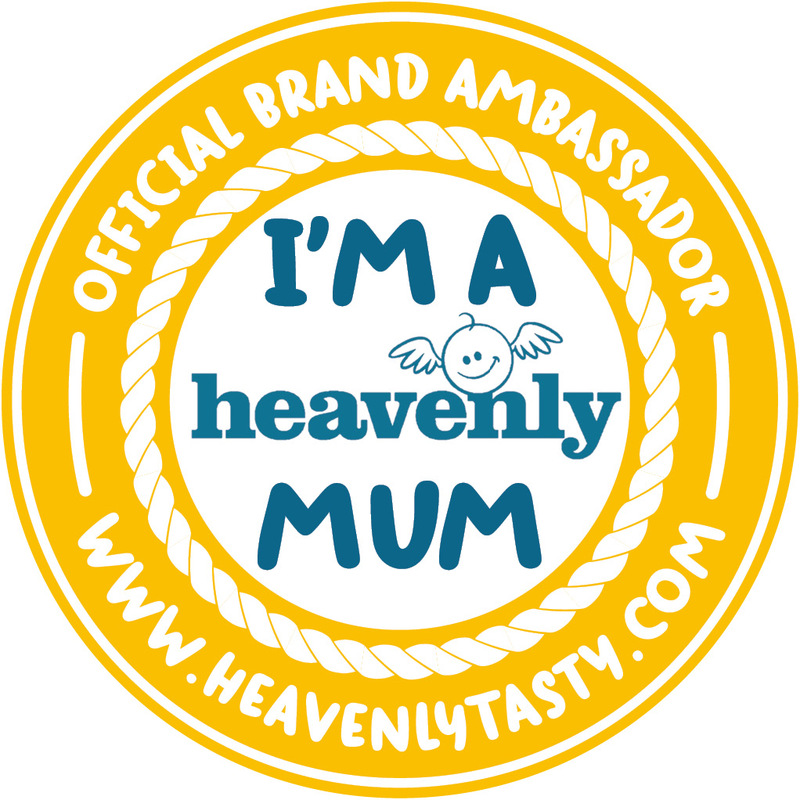 They are a lovely treat for a lucky person. Which scent do you like the sound of the most?